Automatic Slitting Machine, DK-320Functions of this paper/film slitting machine include automatic metering, automatic label counting, length presetting, auto stop, and so on. 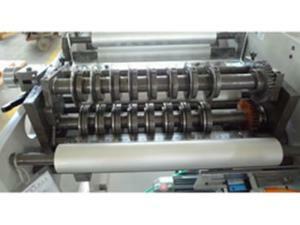 Additionally, our slitting machinery is equipped with photoelectrical eyes to rectify deviations of web guide. Automatic Slitting Machine, DK-450When used for adhesive label production, this slitting machine has functions like auto metering, label counting, and autostop, etc. To guarantee precise web feeding, it is designed with a photoelectric deviation rectification system. Additionally, this high speed slitting equipment is also characterized by its compact structure, high efficiency, and steady running. 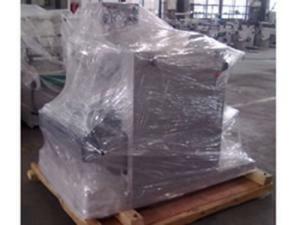 Slitting Machine with Rotary Die Cutting Station, DK-320GThis slitting machine is applicable for die cutting and slitting blank adhesive labels. 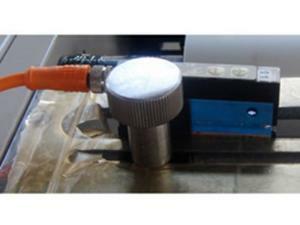 Due to its rotary die cutting stations, it can finish die cutting and slitting at one stroke. Meanwhile, it also has functions like auto metering, counting, length-presetting, auto stop, and more. Slitting Machine with Rotary Die Cutting Station, DK-450GThis DK-450G slitting machine with rotary die cutting station is a new developed product. Equipped with accurate rotary die cutting system, it can accomplish the die-cutting, optional laminating and slitting in one process. Moreover, this slitting machine supports automatic meter counting, automatic stop, web guiding by photocell and other functions. Auto Slitting Machine, DK-520Performing with compact structure, high speed and efficiency, easy and stable operation, accurate slitting performance and other merits, this auto slitting machine also supports automatic meter counting, automatic stop, web guiding by photocell and other functions. Welcome to Weigang Machinery Company, a slitting machine manufacturer and supplier based in China. 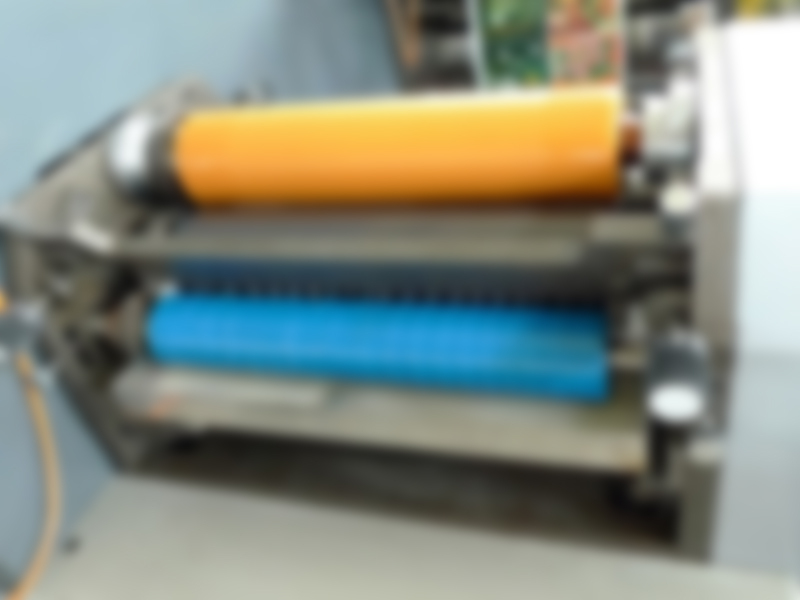 By cutting lengthwise, a slitting machine can divide a wide web width material into several narrower ones. It is usually designed with rewinding units to assist in operation. Slitting machinery can also be used in combination with extruding machines, coating machines, die cutting machines, to finish all steps without stop, thus improving production efficiency. Our slitting machine features high slitting efficiency, compact structure, and stable performance. Firstly, our label slitters are designed with photoelectric eye web guidance system to guarantee precise unwinding and rewinding. 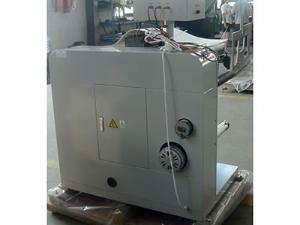 Secondly, imported inverter provides our machines with fast slitting speed. 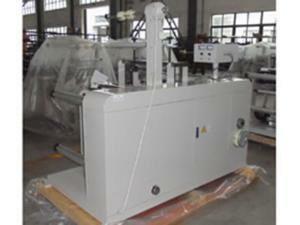 As a specialized slitting machine manufacturer and supplier in China, we can also offer OEM service, upon request. All our products are CE certified and are well accepted by customers from the United States, Britain, Spain, Russia, Singapore, Korea, Japan, and more. Additionally, we can also produce offset printing machines, flexo printing machines, and label inspection machines, to name a few. 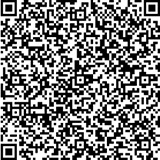 For any product need, please call us or email us. We are in the position to offer you the service you need.